AS SHOWN Madrid bench in oiled walnut with a straight edge profile. 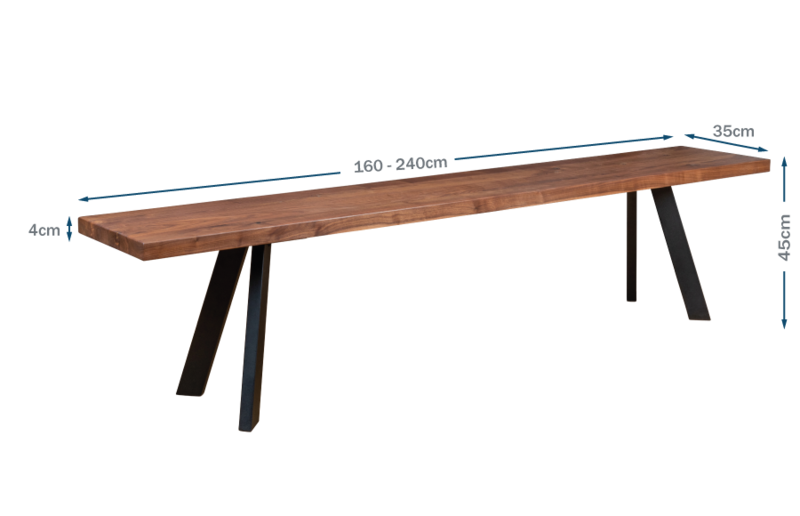 As shown with a solid oiled walnut bench top, also available in solid oak. Shown in Straight edge profile for a traditional look, natural edge also available. Splayed metal legs provide a sleek contemporary appearance.